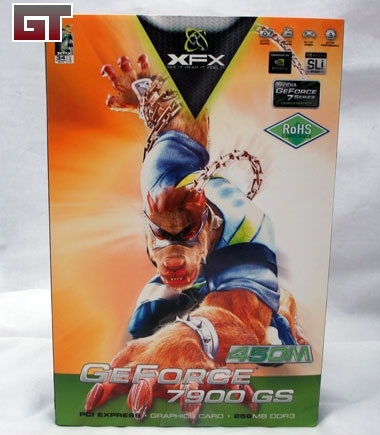 This time around on the review scene I was lucky enough to get an XFX brand nVidia 7900GS. 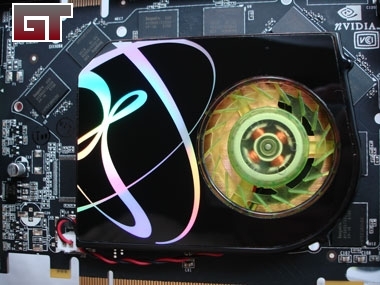 This card didn't come to market claiming to beat all previous cards released, but rather as a value-priced offering which can be pushed to impressive speeds through overclocking. It also has the power to hold someone over until the next revision of cards (DX10 for Vista) appear. Looking at the packaging, this card isn't for someone who wants to do spreadsheets all day long! We all know that this isn't what we'll make this card to be either; we want to see things crumble to pieces, fall over or blow up... We want to make Jack Thompson scream "It�s too Violent!" Looking at the back of the box we get to see some of the bling that comes with this card. 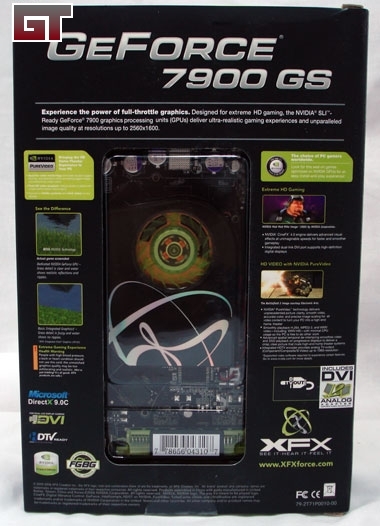 The specifications for this video card are listed below; they are pulled off the web and not the box. Ok, now that we know what we're dealing with, lets look inside the box and see what extras come in the package. 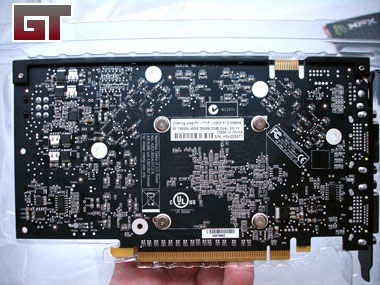 A closer look at the back of the card shows us that the heatsink is attached using only the four GPU screws, but has holes present for a larger heatsink which would cover the DDR3 RAM. 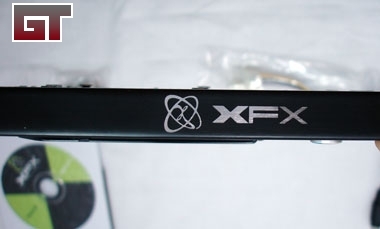 The front has this nice black cover with the XFX swirl on it. 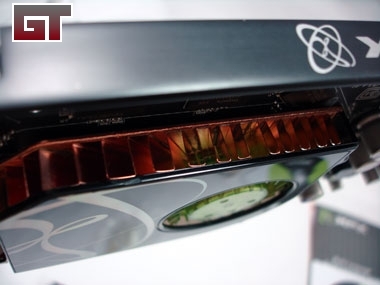 You can see that most of the DDR3 is not covered by this heatsink. 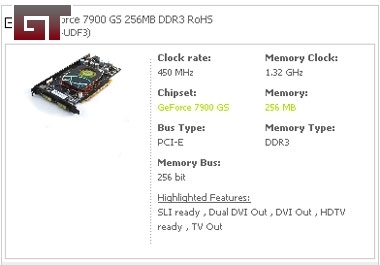 If this card were factory clocked higher or or you planned to overclock seriously, you might want an aftermarket heatsink which would cover the DDR3 as well. On top of the card you have a nice black card holder. It looks like it might get in the way for SLI setup, but on a single card machine it does draw your eye nicely. A look down at the heatsink shows that the air is pushed out in all directions rather than vented out the back of the case as has become the norm for high powered cards.